No Christ in Dr Who’s Christmas? Of course not. It would be an act of purest optimism (as the Monty Python crowd would say) to expect it. 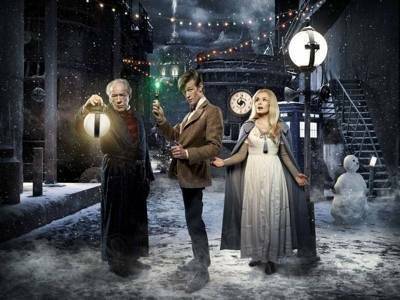 I watched the Dr Who Christmas special this year, which was based on Dickens’ “A Christmas Carol”. Among the usual Dr Who fluff and nonsense, there was a careful avoidance of anything to do with the birth of Christ. 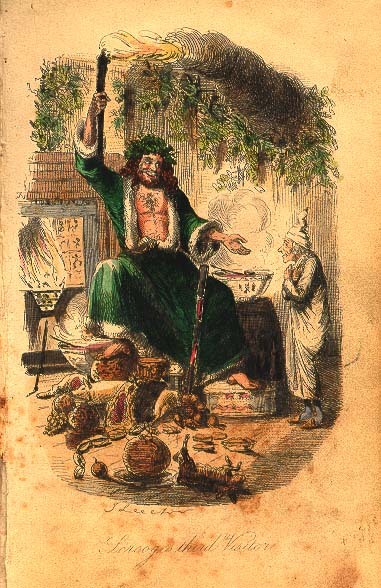 The people on the planet were celebrating the winter solstice, and of course, there was a lot of talk about Santa Claus… I’ve never read A Christmas Carol, but I would be interested to know how much Christ or Santa is mentioned by Dickens. Of course, we don’t need Dr Who to tell us about Santa taking over. 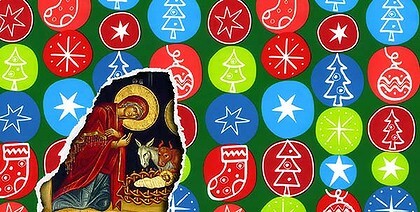 [T]he story of the Christ child…surfaces in us like a race memory… It can all sound pretty cheesy piped through the speakers at the supermarket amid the turkeys and hams and Christmas puddings but, wherever you come from and whatever you believe, it goes as deep as anything does in what we call our civilisation. Nevertheless, all that cheesy stuff about Christmas in our culture is largely manufactured, and Dickens’ “A Christmas Carol” was a part of the manufacturing as much as Coca-Cola’s Santa advertising campaign was. I always find the resemblence of the Ghost of Christmas Present tantalisingly both “like” and “unlike” the picture of Father Christmas I grew up with. I don’t have any real problem with this “cultural” Christmas stuff, but I think there are two equal and opposite errors we need to avoid. The first is when the “cheesy” fantasy Christmas is allowed to merge seemlessly with the Christian story of the birth of Christ, so that the Nativity scene ends up as just one more decoration among the Santa and reindeer lights on the front lawn. The other is when we become so anti-Santa etc. (banning Father Christmas and Christmas trees and decorations etc.) that we end up looking like a Christian version of Scrooge. There are two narratives at work here. One is a lot of fun, and the other is the most important mystery at the heart of our existence. Telling the difference shouldn’t be hard. 4 Responses to No Christ in Dr Who’s Christmas? An excellent post, David. I totally agree with you (for once!). But I do also wonder how much the absence of _any_ reference to _Christ_mas in the Dr Who special reflects what’s happened culturally in Britain under ‘New Labour’? A recent survey suggested that less than 50% of Britons now regard the UK as in any sense a “Christian country”, and +Rowan has also recently written to the new Conservative PM Cameron urging action to remedy the outlawing of public displays of Christianity. Re a Christmas Carol and the lack of Jesus in that story,is that Dickens saw jesus as a great moral teacher rather than as God Incarnate coming to die for our sins. Matthias, where have you gone to? We miss you over at the old manse. Well, I hope you’re still reading, even if not commenting. I too enjoyed the Dr Who special and actually I thought the Christmas carols – beautifully sung (In the bleak midwinter especially, even though not exactly applicable here!) – made the Christmas connection quite nicely without hitting one over the head. And the Dickens’ Christmas Carol message as adapted seems to me to fit quite nicely with the spirit of Christmas. Well acted too with stars like Michael Gambon, so a step up from one or two of the previous specials. Kudos too to the ABC for putting it on so fast. But I continue to be dissapointed with the general much darker and less generally consistent with a Christian worldview take on the Whoian universe of the new production regime – in the past, for all his ability to fix things, the Doctor has surely never been painted as sufficiently semi-omnipotent as to be able to ‘reboot the universe’ !